There's one Christmas campaign that has more heart than any seen before and shines a much needed light on children with heart conditions. Billy's heart will control the Seven Dials Christmas lights this year. This year, 312 children with a serious heart condition will be born over the Christmas period with a serious heart condition. Take two-year-old Billy, he was diagnosed with transposition of the great arteries (TGA) at his mum's 20 week scan. TGA is a condition where the two main blood vessels leaving the heart are swapped over and affects 1 in 10,000 babies. After a traumatic 13-hour operation at just 7 days old, Billy has come on in leaps and bounds and is starting to find his feet at 2 years old. To raise awareness about the plight of these brave children, Seven Dials and kids heart charity Tiny Tickers launched ‘Twinkle Twinkle Little Heart’, with support from Golin. 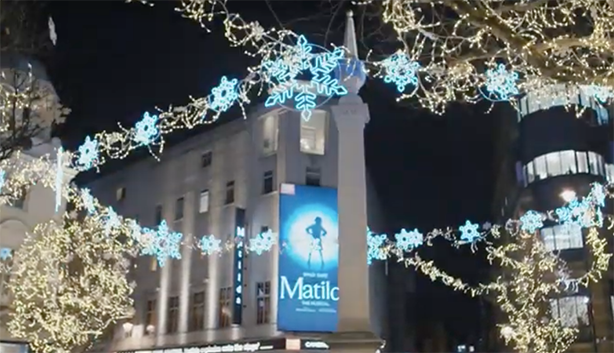 All of the lights at Seven Dials in London were controlled by the heartbeat of Billy and pulsed in time with his heartbeat for 24 hours on 20 December. "Christmas is meant to be the happiest time of year but I think it’s very easy to forget that lots of families could be going through a really hard time – and sadly they don’t get to enjoy the holidays together," Billy’s mum said. "I really wanted to be involved in this idea because there’s been many Christmases where we’ve been in this situation – and I want other families to know they’re not alone. "I think it’s really important to keep making noise and raising awareness about heart disease – but also make people aware of the wider impact it has on families. Most of all we just really want people to stop and think, because it could happen to them." One in every 125 babies born in the UK has a heart defect and Tiny Tickers is calling for people to give the ‘gift of hope’ to a sick child by donating at Christmas.